I'm unsure how to rate or describe After the Romance Novel. The narrators are 17-year-old best friends, one experienced and one not. So it has a coming-of-age, young adult feel, but not. Adam is snooping in his best friend's laptop, and discovers a smutty MM romance with two men named Adam and Evan. When questioned, Evan admits the books are his – he writes and publishes them, and this opens up the conflict. Both boys are questioning their sexuality, fearful whatever they decide will harm their friendship, and also wanting more but fearful it will destroy their friendship. They're a ball of teenage angst. I enjoyed this short story, read it in under and hour, and was entertained. However, the boys’ dialogue and monologue sounded more like someone over fifty, not a teenager. Many phrases used are ones my parents used, long gone out of style for me, and I'm 38, whereas these boys are only 17 – I doubt they would have even heard those phrases, let alone put them to use in everyday language. The sole focus was on the conflict resolution, with little else shown on the pages. While I like a fast-paced story, this removed a connection between the reader and characters, as well as made the character development shallow. I've read the standalone series unwittingly out of order, as this is the first in the series. I read Kissing Lessons (Before... and After Book 2) and 5-starred it. It had a lot more depth, tension and angst, and interactions between the characters. I enjoy this author, and do recommend for readers who want to be entertained in an hour or so, and don't have a lot of time to read a 400-page book. Also, to those who want to read about young adults. A quick and easy, light read, which would be a great palate cleanser in between longer, or more 'stressful' books. For reviews & more info, check out our Kissing Lessons post. 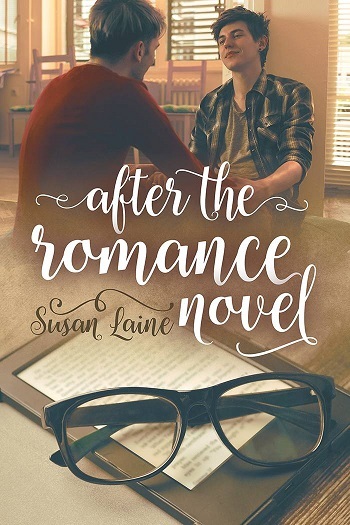 Reviewers on the Wicked Reads Review Team were provided a free copy of After the Romance Novel (Before... and After #1) by Susan Laine to read and review.